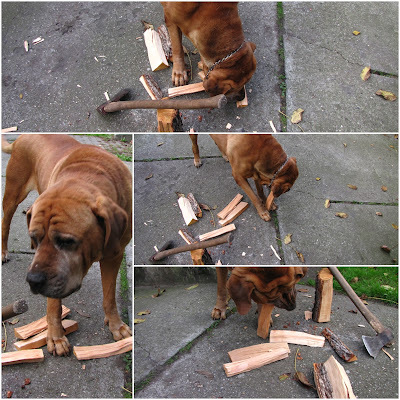 It's always the same game since 10 years - try to do some gardening and our dog will be for sure your companion. The days are sunny but the evenings are getting colder. It's still not the time to turn on the central heating but it's nicer to make some fire in the fire place. I'm enjoying it every day because I do not have a fire place in my own flat so that's why I love spending time in my parents' house so much (of course, not only because of the fire place;)). And it's a fact and everybody knows that every big fire starts with a small piece of wood you have to bring to burn. There's a small problem when you're running out of the small woods someone chopped for you before and you have to do it by yourself. The guy my mom hires from time to time to do small things in the garden or to chop the woods, couldn't come. And so the only thing I could do was DOING IT BY MYSELF. Chopping wood was maybe not the biggest problem for a big city guy like me but taking care not to chop our dog. 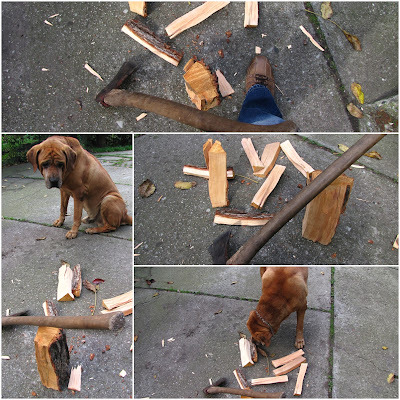 He wanted to help me so much that I had to think for us both - not to cut my legs off and not to kill the dog. He really wanted to play Révolution française by being like Marie Antoinette at the scaffold. 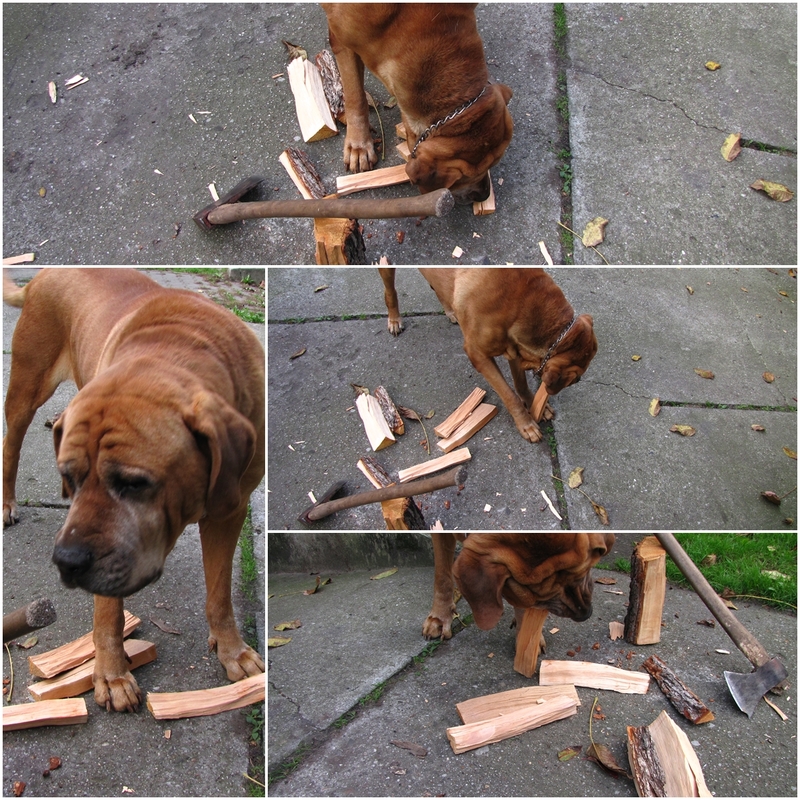 Finally we (I mean: I) succeed and I got some small woods I could start the fire. But... It was worth it, the evening was so nice and romantic. Pasta and there's no basta!